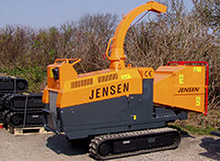 Our extensive range of tracked Jensen chippers, included fixed, variable and Spider tracks, offer you the perfect off-road solution for uneven, unstable, hard-to-reach or sloping ground. 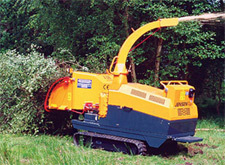 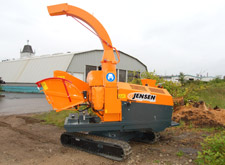 In addition to the standard rigid tracked woodchipper, Jensen offer a hydraulically adjustable track system, enabling you to move the track in and out from the machine as required. 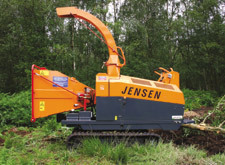 For the A530XL and A540 models Jensen offers a tilt bed system for light embankment work, compatible with either fixed or variable tracks. 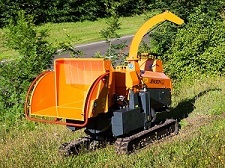 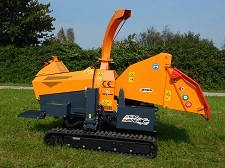 If you require a dedicated embankment chipper, the Jensen A530 XL or A540 Spider track systems offer unrivalled stability and access to steep slopes and tight spaces, resulting from the ability to move both tracks up & down, and in & out, independently from each other.